Keep your pockets light and your phone trendy with a custom Samsung Galaxy S10 Plus case. Your one-of-a-kind photo printed using our best ink! Protect your phone with a custom phone case. The silicone cases for the Samsung phones are unique due to their size and quality. It is the thinnest case we have to offer here at GoCustomized. The slim design ensures you can still enjoy the natural design of your Samsung while keeping it protected against scratches and dents. The material is shock absorbent to protect from any accidental drops. Don't let your phone go without protection, and design your own custom case with your favourite images and designs. 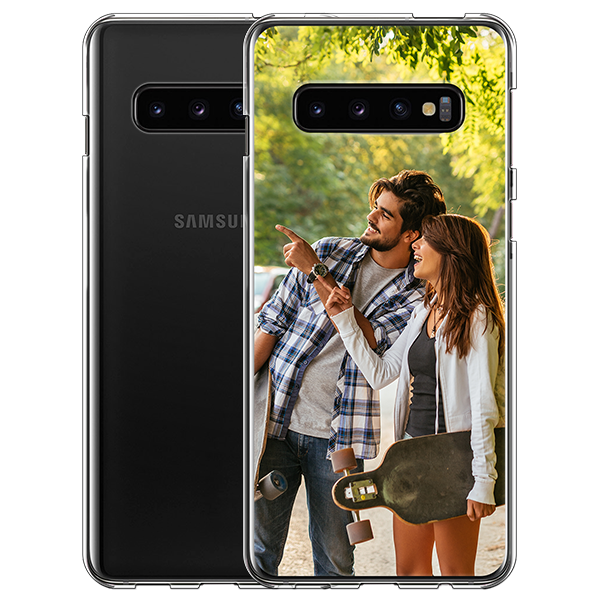 Add your phone protection while showing your style to the rest of the world with our custom Galaxy S10 Plus case! 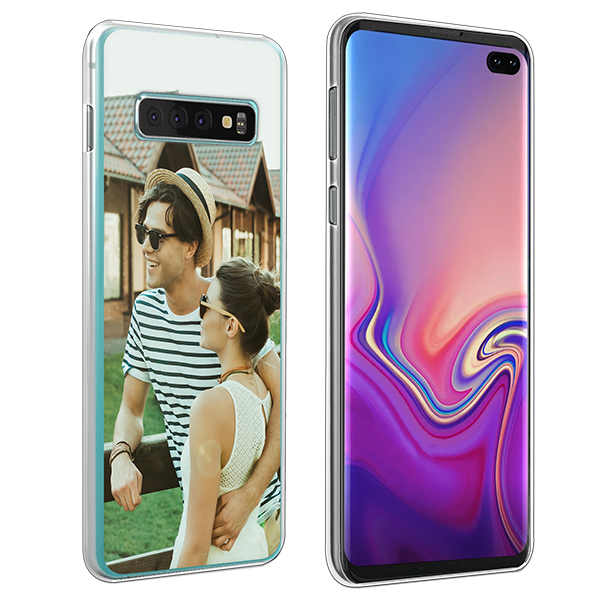 Here at GoCustomized you can design your own custom Samsung Galaxy S10 Plus case as you want. Pick one of your favourite photos or designs to get started. You can upload your images and designs from Facebook, Instagram, your computer, or your tablet. Moreover, you can add a filter or stickers and rotate the design. Need some inspiration? We got you covered! Try out some of our designs made especially for you. Add a quote or personal piece of text to finish it off. You can choose your own font, colour, and size of the text to make your custom Samsung Galaxy S10 Plus unique. 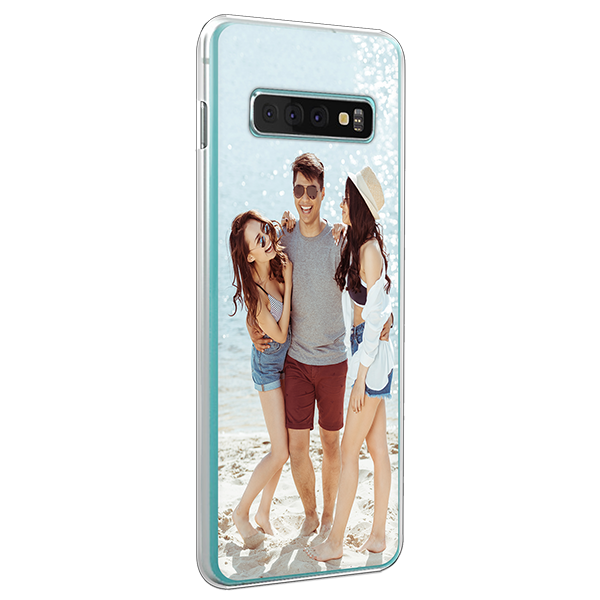 We understand that you want to have your custom Samsung Galaxy S10 Plus case as soon as possible. Before you finalize your order, please double check that all your information to make sure all of your details are correct. We can ensure that the production team will work on your case almost immediately as all of our orders are fully automated. Our specialist will check your case for any imperfections before sending it off so you receive your custom Samsung Galaxy S10 Plus in the best conditions. Soon, your custom case will be waiting for you in your mailbox. So, what are you waiting for? Start designing your personalised Samsung Galaxy S10 Plus now!